There is no credible way to recommend going into a great deal of debt for a two or three week bartending school, if only because the occupation in no way demands any specific type of education. Bartenders are normally trained on the job, working up to the position by doing other tasks for the business. Since it requires a special strength of character to deal effortlessly with the public for many long, late hours, you may not know whether bartending as a profession suits you until you attempt to do the work. The easiest way to obtain a chance at your first bartending job is to befriend the people who do the hiring for local bartending positions, and convince one of them to give you a trial period working a less busy shift. It’s always preferable to be paid while you learn rather than putting up cash for the same lessons. An examination of the classified ads will reveal the absence of requests for school-trained bartenders. If your venture behind the bar does not complement your skills and temperament, it is much better to make that discovery before you have contracted to repay hundreds of dollars in education costs. That being said, if you feel quite sure bartending is what you want to do and if, after discussing your options with the best bartenders you know, you are still convinced that formal training in bartending is required for you to succeed, then you should feel free to consider affordable school loans. Many bartending schools have been organized with a view to obtaining educational financing that would not be forthcoming for a less formal variety of training. That means you will need to be very careful in selecting a trustworthy school that will provide full value in exchange for your money. Working bartenders suggest that if you do wish to spend the money, you should attend a school that makes a commitment to find you a job after you obtain your certificate. If you can determine your school costs beforehand and set aside the money for a bartender’s certificate prior to enrollment, that is recommended. Two brief summaries on the costs and financing information provided by popular bartending schools follow, to give you an idea of what you can expect to pay for commercial training. The Crescent City School of Gaming and Bartending has posted a helpful page of data on the cost of training, school completion rates, and occupational outlook for bartending. You can choose the three-week bartending program for $795 or the Beverage Management classes, also three weeks long, for $3,050. The school is forthright about the fact that most of your bartending training consists of practice in mixing drinks, and it is up to you to decide whether you could complete the same type of practice on your own. Crescent states that federal education loans are available only for Beverage Management, so if you should require a loan for $795 you will have to consult a private lender. The ABC Bartending Schools claim to teach 100 drinks as opposed to 200 for Crescent, but ABC includes instruction on other parts of the job, such as how to sell more drinks and earn greater tips. Students are also taught the basic characteristics of liquors, wine, and beer, and learn how to handle cash. ABC makes an interesting offer: the school will match the price of any other bartending school in South Florida, provided that school advertises on the internet. That would suggest they have built competitors’ pricing into their own bartending course, and if you check their schedule you’ll see the training that takes three weeks at Crescent has been compressed to two weeks at ABC. The New York Bartending School of South Florida is currently advertising a special February rate of $395, which the school says is a 50% reduction from normal tuition, so that gives an expected price range. 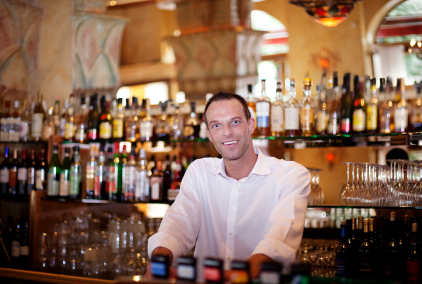 You should compare course material, length, and price for all bartending schools in your area. If you perform that exercise for the South Florida schools, you’ll discover that Ace Bartending Academy charges between $299 (internet price with deposit) and $399 (walk-in rate) for the same two weeks. Again, a sum of that size will not be eligible for a federal loan. Sallie Mae, a well-known name in the student loan market, offers a version of its standard student loan product tailored for vocational school, called the Career Training Smart Option Student Loan. This loan has the following features: variable rate with an APR between 7.99% and 13.62%, a loan origination fee of 5% maximum, and while you are in school you can choose to pay either $25 a month or only the interest on your loan. Frankly, those terms are not favorable to the borrower, although it’s only fair to note the pricing reflects the added risk of lending for the purpose of nontraditional training compared to a course of study culminating in a degree. You would be better off joining a credit union in your area and making a personal loan of some type, preferably one secured using a monetary deposit, because that will save you money (example of comparative pricing can be found here).